Each of our aides is New York State certified and trained to assist the client with personal care and other activities of daily living such as bathing, dressing, ambulation, meal preparation, laundry, light housekeeping, accompany to appointments, grocery shopping, and other errands. Each of our nurses is New York State licensed and trained to perform general nursing care…blood pressure monitoring, medication administration, insulin injections and post-operative wound care. In addition, our nurses are experienced in providing high-tech care for infusion therapy and ventilator dependent clients. Our physical therapists are New York State licensed and trained to assess and develop a comprehensive physical therapy exercise program to meet your specific rehabilitation goals within the comfort of your own home. The Agency’s Director of Nursing performs comprehensive nursing assessments for not only each of our home health care clients, but also for many of the national long term care insurance carriers. The Agency offers a weekly medication set up and nursing assessment service for many elderly clients throughout the Western New York community. The medication set up and monitoring service is provided in coordination with the client’s primary physician. Frequently local attorneys request the Agency to perform a comprehensive environmental home assessment to evaluate client appropriateness for home care, and identify potential safety and environmental issues. Based on the findings of the assessment, the Director of Nursing makes recommendations to the attorney regarding the appropriate plan of care to maintain the client in his/her home. Our nurses are New York State certified to perform independent PRI and Screen assessments which are required prior to admission to an assisted living or skilled nursing facility. 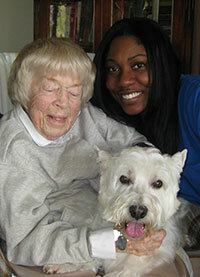 Our beautiful West Highland Terrier, Buddy, enjoys visiting our Agency’s home health care clients and sharing his very special companionship and love. Our Agency provides home care services for as little as 4 hours a day, 3 days a week as well as up to 24 hours a day 7 days a week. 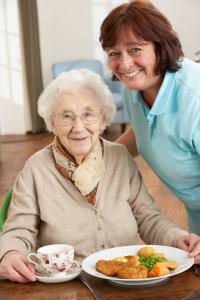 The client's hours of service are custom designed to meet his/her specific health care needs. The Agency’s health care services are available in private homes, assisted living facilities, nursing homes as well as private duty care in all Western New York hospitals. Our Agency employs an experienced Director of Nursing who is responsible for the coordination and case management of all our home health care services. The Director of Nursing facilitates and maintains open lines of communication among the client, the client’s family and the client’s physician. Often times the Agency’s involvement includes coordination with a client’s lawyer, accountant and clergy. Family Care Services of Western New York has a very successful record of assisting clients in researching all avenues of reimbursement for home health care services. The Agency will contact your insurance carrier for pre-authorization prior to the initiation of any home health care services. Family Care Services of Western New York has developed a strong working relationship with all the major 3rd party and long term care insurance carriers at a local as well as national level. Family Care Services of Western New York specializes in working with each client to tailor a home health care program to meet his/her specific and individual needs. The Agency’s primary goal is to provide each client with an opportunity to continue to live independently at home rather than face hospitalization or nursing home placement. At some point in time all people find themselves in a position which requires the assistance of a home health care professional. The need for home health care may follow a hospitalization, a serious illness, an unexpected fall, the death of a spouse, or simply a need for companionship and a helping hand with the simple activities of daily living. Please feel free to contact Family Care Services of Western New York for more specific information about our home care services. We are looking forward to answering your questions and helping you design a home health care program which meets your special needs. My Mom and Dad are much happier and better rested since your personal care aide services began three months ago.